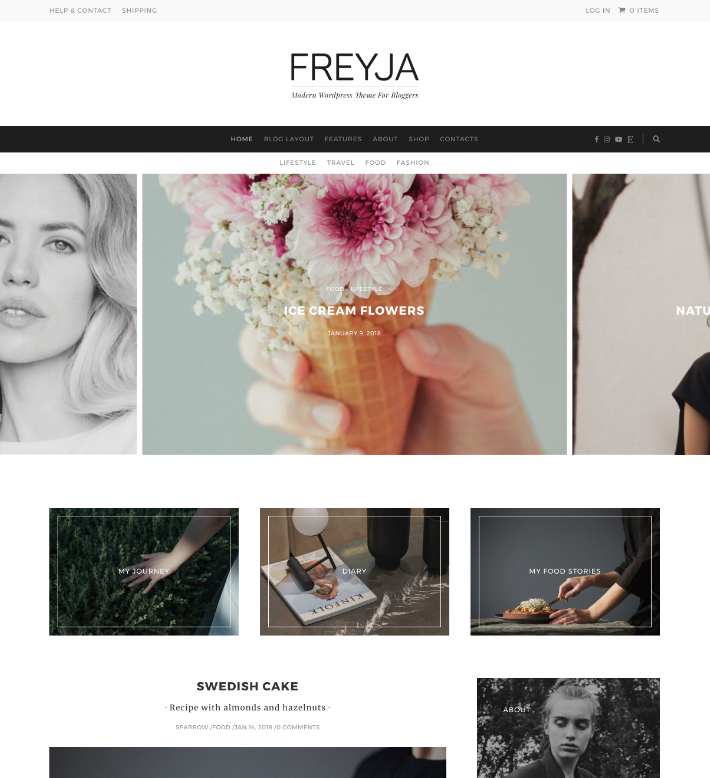 Freyja is a versatile Wordpress theme designed for bloggers and for personal creative businesses. Now rebuilt and enriched with amazing features, compatible with the latest technologies. Be amazed by the innovative Freyja! I love this theme, it turns your webpage into something of what a designer would make for their webpage. Excellent support, who readily reply to emails and questions. Georgous, functional theme. 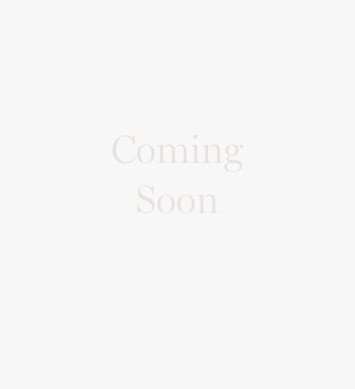 My content looks beautiful with very little effort! Support is excellent - fast and accurate. Very highly recommended! 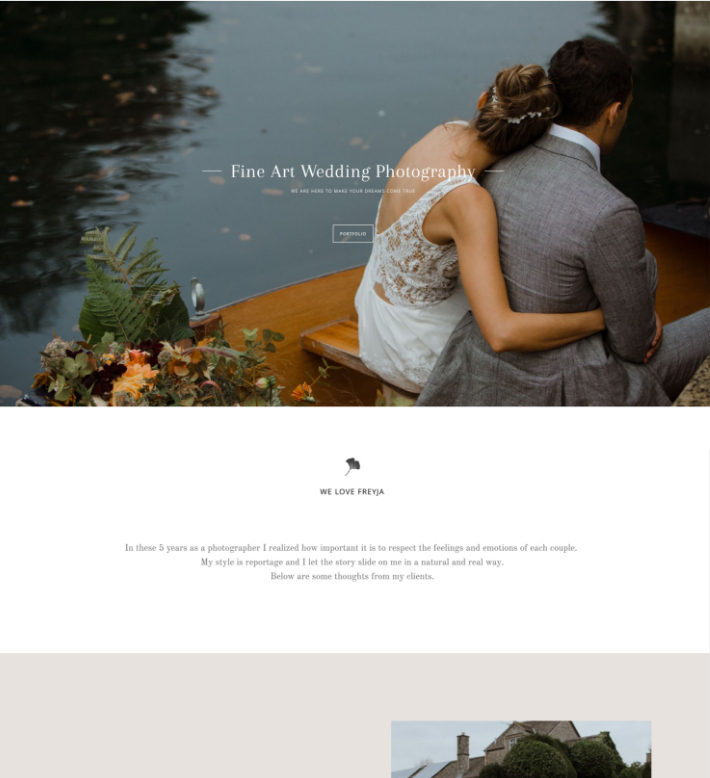 This is by far one of the best new themes for modern, simple creative websites. Every single one of the different versions/skins is beautifully designed. Admin panel gives TONS of customization options. 5+ stars. I love this theme! Elegant, beautiful, and minimalistic - exactly what I was looking for. Installation was a bit difficult at first, mainly because I'm such a noob at all of this, but Simo from Sparrow&Snow support helped me out whenever I got stuck. I highly recommend this theme! Worth every penny. 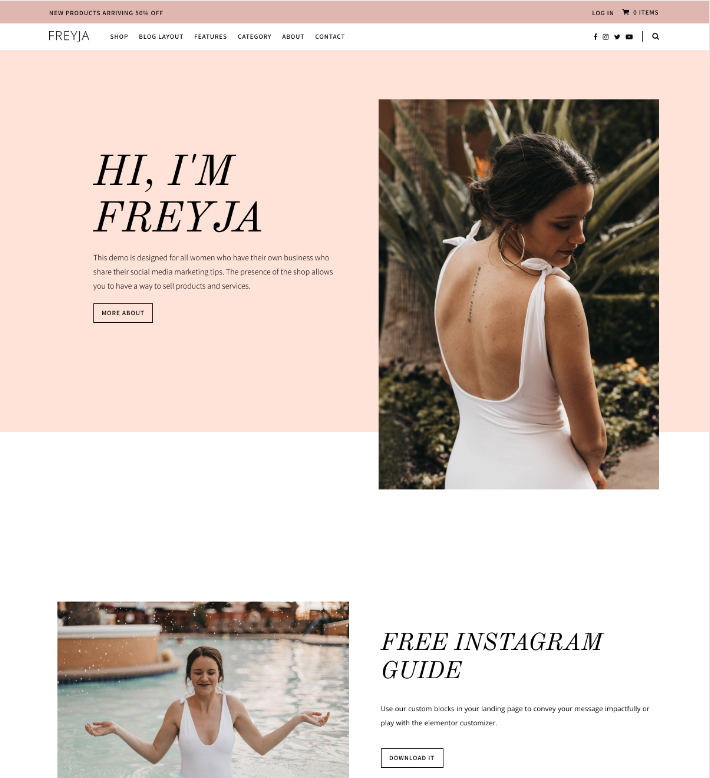 I wouldn't want any other theme than this for my blog, the design is awesome and so pretty and the customer service/support is the best one I have ever experienced. I emailed them since a feature in the theme stopped working after the new wordpress update and they literally fixed it in like 10 minutes after I e-mailed. 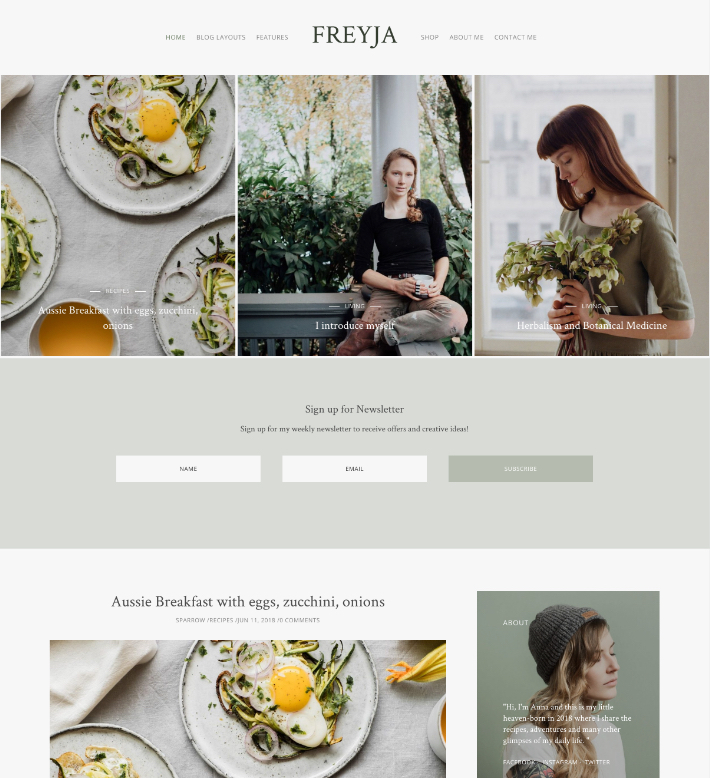 There's no better theme for a lifestyle/fashion blog according to me and it's easy to customize. I absolutely love this theme! It allows for so much flexibility and personalization. Plus, I'm computer illiterate, so I am very grateful to have purchased a theme with Sparrow & Snow. They have helped me every step of the way in creating the perfect layout for my blog. I couldn't have done it without them! Support was very fast and my issue was solved within a matter of time. Thank you so much. I appreciate your efforts. Here the guys behind the support screen. Simo & Matt from Sparrow&Snow Team will help answering your questions and solving technical issues. They also keep the documentation up to date by providing clear tutorials that will help you understand all the features of the theme.